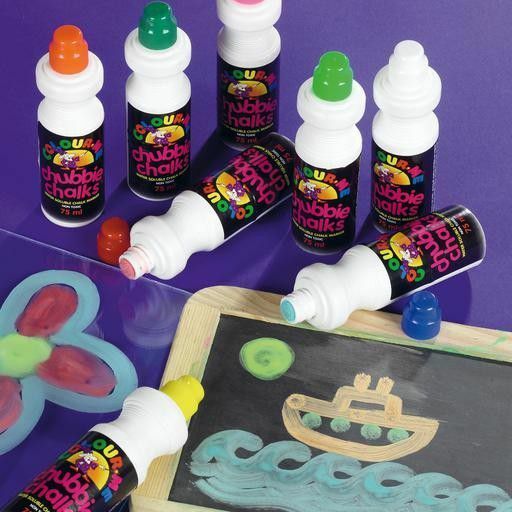 An exciting alternative to paint, pens, crayons or ink these liquid chubbie chalk markers are perfect for arts and crafts and are suitable for all ages and abilities. The liquid chalk can be used on various surfaces including, white/black boards, Perspex or glass where it quickly dries into dust and can be easily erased using a cloth. Packs of 3.